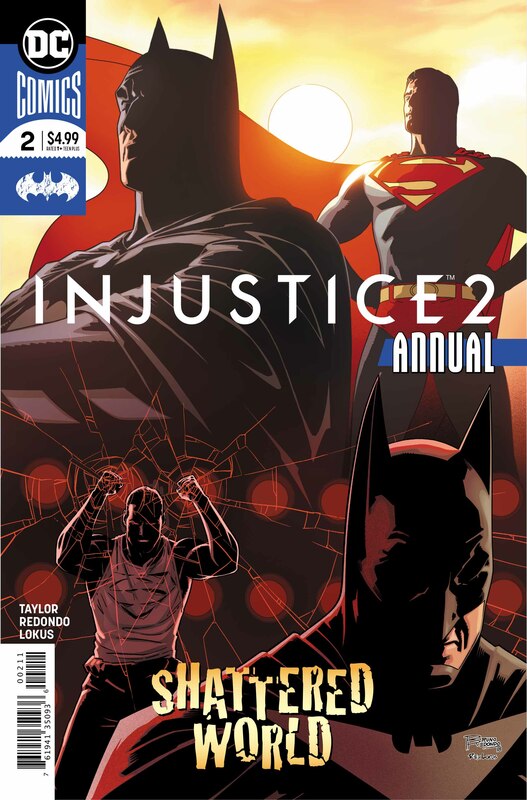 Injustice 2 wraps up this week, as Tom Taylor and Bruno Redondo bring things to a close in a moving, heartfelt annual. 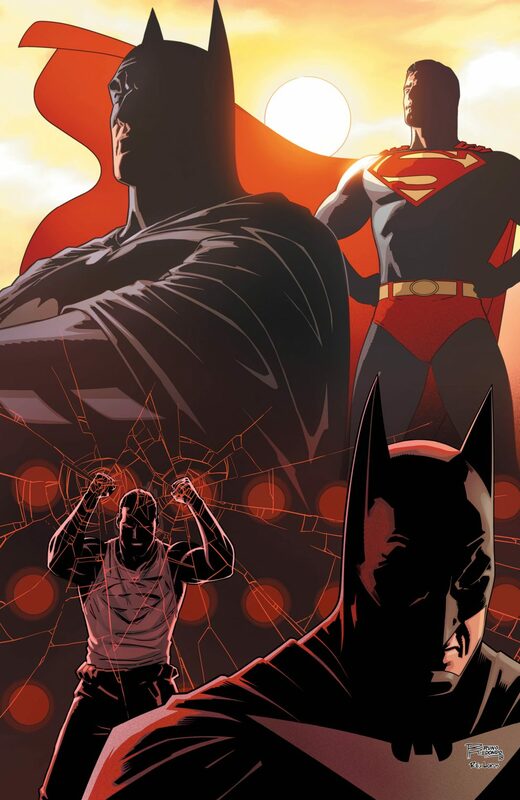 Flipping between the past and present, Injustice 2 Annual #2 focuses on the complicated relationship between Batman and Superman. 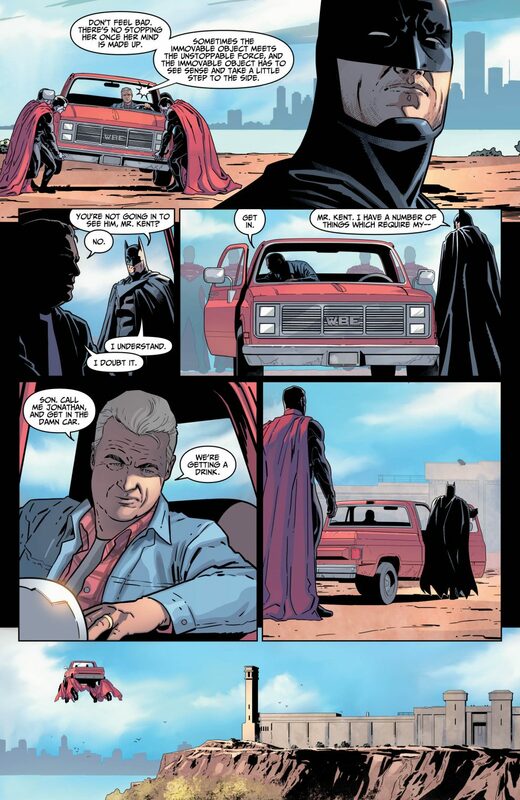 The issue opens with Batman coping with Alfred having left home. 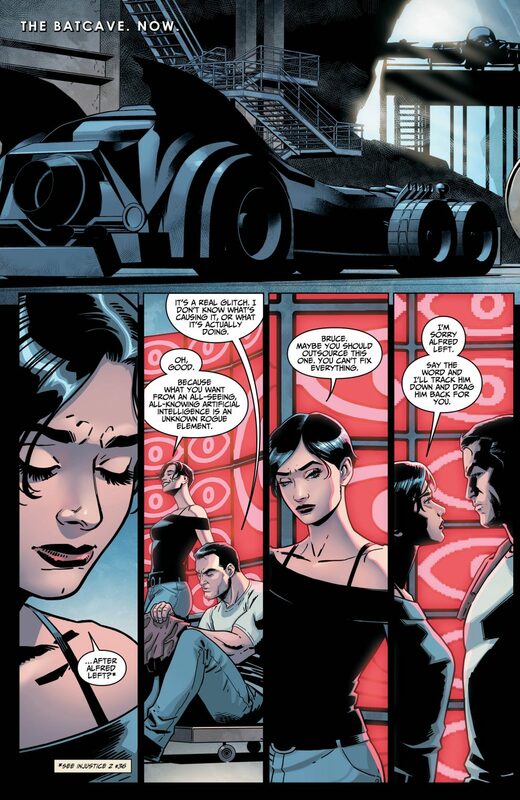 While talking with Catwoman in the Batcave, Brother Eye alerts Bruce that there are people approaching Clark’s prison. 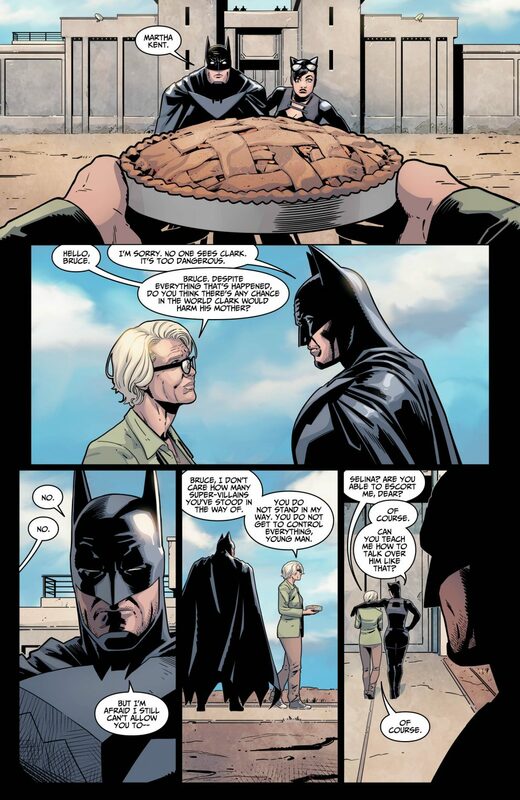 Upon arriving, Bruce discovers Martha and Jonathan Kent holding a pie especially baked for their son. The narrative then flashes back to eight years ago, well before the events of the first Injustice. 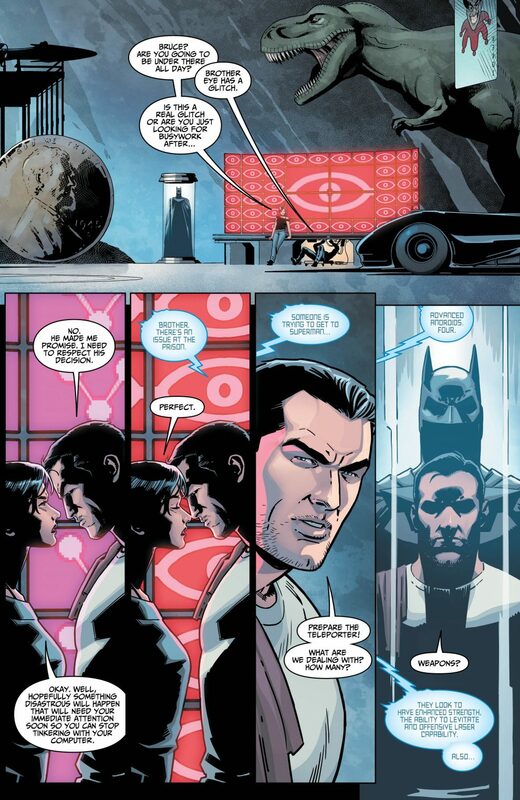 The flashback recounts a time when Deadshot attempted to assassinate Bruce Wayne. 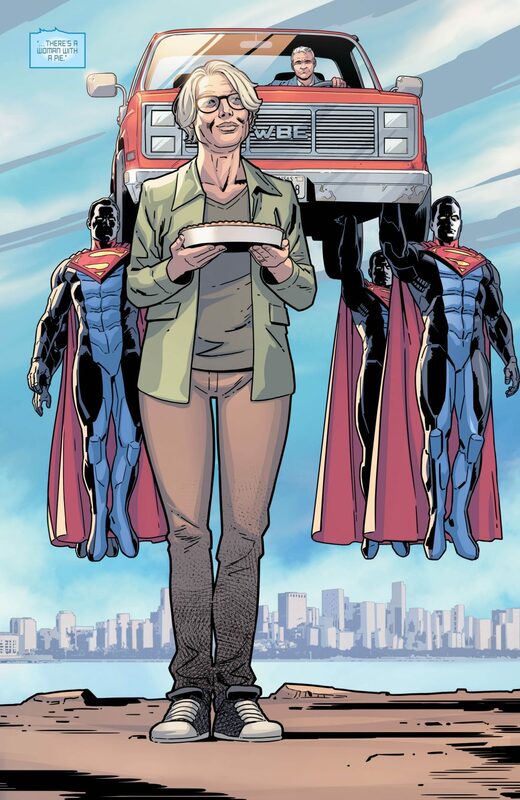 The subsequent events involve Superman and Lois Lane investigating the crime while Bruce and Alfred hide out in Smallville with Ma and Pa Kent. 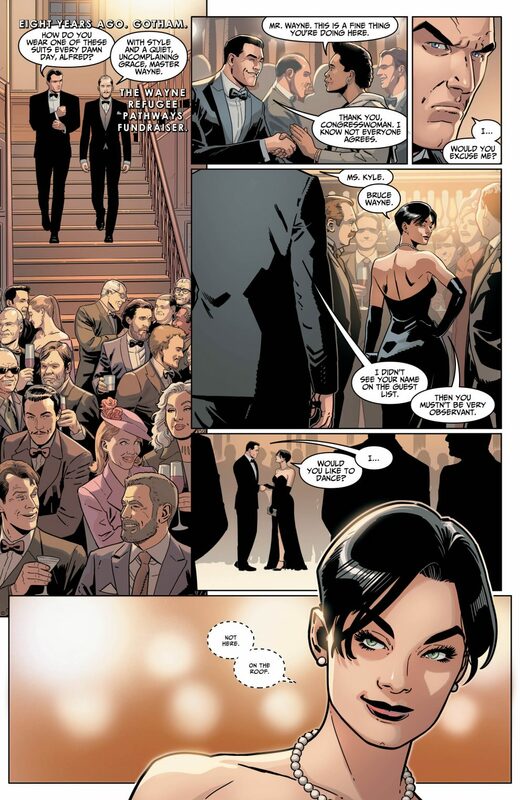 After wrapping up the assassination plot, the issue flashes forward to the present, delivering a poignant ending as Bruce and Clark have a tear-jerking encounter with each other. Tom Taylor’s strength as a writer has always been his ability to capture his characters’ voices. Injustice 2 Annual #2 is a prime example of this, as the issue is driven by characters rather than plot. Overall, the story is rather unremarkable, but that doesn’t matter. Taylor scripts beautiful interactions between Bruce and the Kents, unpacking an incredibly complicated, quasi-parental relationship. Taylor’s pre-Injustice Superman is a delight to read. The writer’s grasp of the character is impeccable. 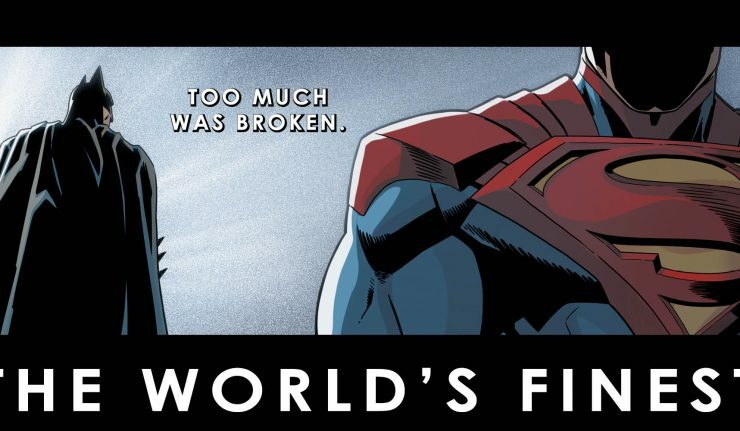 He’s kind, majestic, and honorable, which only reinforces just how far Superman has fallen from grace. When the story flashes back to the future, the post-Injustice Superman is all the more tragic after having seen what he used to be. Bruno Redondo renders the Injusticeverse beautifully, as always. Redondo has been working on this title since issue one and does a great job finishing what he started. His work is incredibly clean and iconic, lulling readers into a false sense of security about which DC universe they’re reading. Aesthetically, characters look incredibly similar to their Earth-0 counterparts – especially the Man of Steel, who looks and feels like the mainline DCU Superman. Batman is an exception, however. His costume is more armor-like than the Greg Capullo design. Nevertheless, its close enough to other incarnations to where it’s barely noticeable. 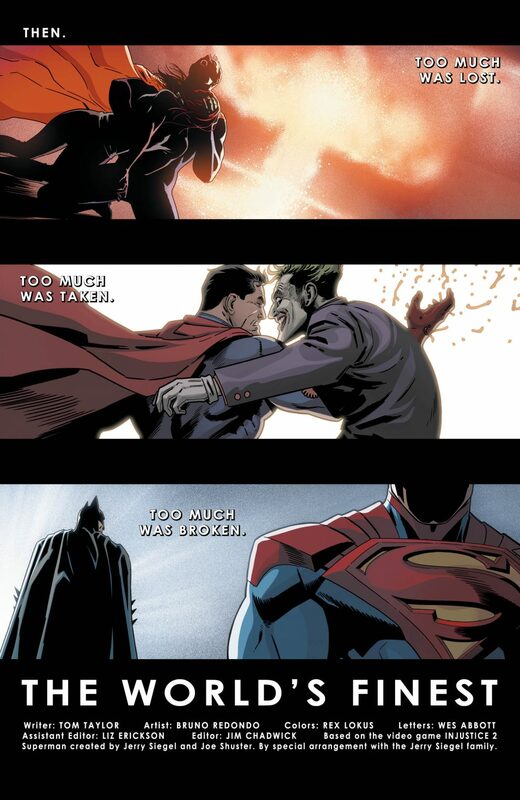 Injustice 2 Annual #2 is unexpected. It’s not a grand finale chocked full of spectacle and bombast. Rather, it’s something much better. This comic is a character-driven meditation on family and forgiveness. Taylor’s script is emotional, pulling on its readers’ heartstrings. Redondo’s pencils are splendid, highlighting the gravitas of melodrama. In short, this bookend issue is brilliant. Give it a read. It won’t disappoint.